Here are a few gifts that anyone on your list will love! 1. 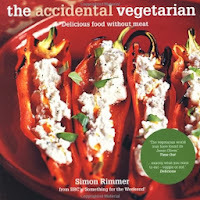 The Accidental Vegetarian by Simon Rimmer is an excellent cookbook for both vegetarians and non-vegetarians. Even a meat-lover will find meals they like in this book. 2. 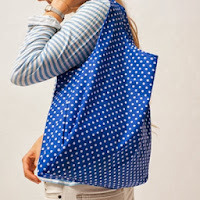 Baggu sells reusable grocery bags in a variety of patterns and colors. Everyone could use one of these! 3. Board Games are a fun gift...Ticket to Ride is one of my favorites! 4. 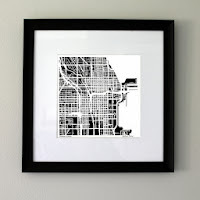 This etsy shop sells really cool ink drawn maps of lots of cities. Get someone a map of their hometown or their favorite city! 5. 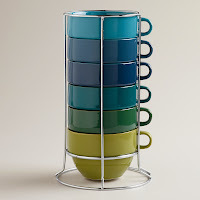 These ombre stacking mugs are perfect for coffee/tea/hot chocolate lovers! 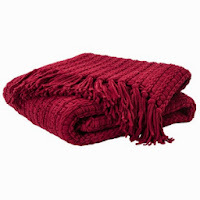 6. Who doesn't love to cuddle up under a cozy throw blanket in the winter? Thanks for including my map in your gift guide! Just came across your blog because someone clicked through to check out my etsy shop. And I have to ask, is your header the Andes mountains looking out from Machu Picchu?! Looks like it! Hard not to recognize those amazing mountains. Wishing you lots of fun and success with your blog, thanks again! I love your maps! They're beautiful! Yes, that picture is of the Andes from Machu Picchu! I visited there in 2012 and it was SO amazing! You're right, those mountains are very distinct.